Since 2005, a devoted enthusiastic team working to develop an informatics portal regularly. Our goal to build extremely updated information of/for people in Bangladesh and expatriates all over the world. Should you feel the necessity to seek our assistance, we are ready to assist you in an assortment of ways in business; profession or individually as well as for community development home and abroad within time frame. Our utmost endeavor will be to an upsurge to a large portal. 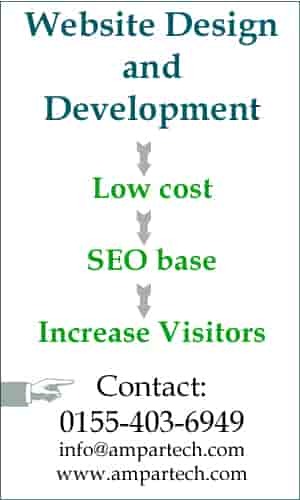 It is very tricky to get personal or business information; as few people provide their contact details. Actually this kind of record helps us to move forward. Your address with professional reflection help you in numerous ways to enter into a new network, leading to an increase in your business. Really we do these hard works for you without getting any benefits till date. We have many articles on Bangladesh for free to read. You can send your comments on any topic. If you want to publish your own article on MediaBangladesh.net you can send us, we will publish in the respective category but the article should be unique with good content. Our valued viewers can help us by sending contact details or contents of their own and company. You may ask us to add or modify or remove your own identity or contents; really all these efforts help us to grow day by day. Send us your company or business details to publish at this website. If you want to advertise on our website contact us. Sorry for addresses or personnel’s details which are not updated timely due to the company/ owner new location. We use our very best way to reach there and update information. 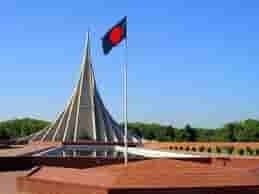 Thank you very much for visiting www.mediabangladesh.net. Your comment or suggestion is the best insperiation as well as reward for us to retain the goal. Authors, Guests and Administrator of MediaBangladesh.net write articles or comments with their personal view and capability. Most of the information collected from internet and/or from respective authority website. It is not guaranteed that the information is 100% accurate, but we always try to provide accurate information as much as possible. By reading and/or using any information from MediaBangladesh.net , you agree that you are on your own & bear full responsibility of the risk or any harm that may occur to you or others (if) in any way whatsoever. You also agree that we, Authors or Administrators or MediaBangladesh.net will not be liable for any damages that you or others party may incur.